A tropical key lime protein shake is a great way to fuel your body as part of a healthy breakfast, lunch, or even just a healthy snack. 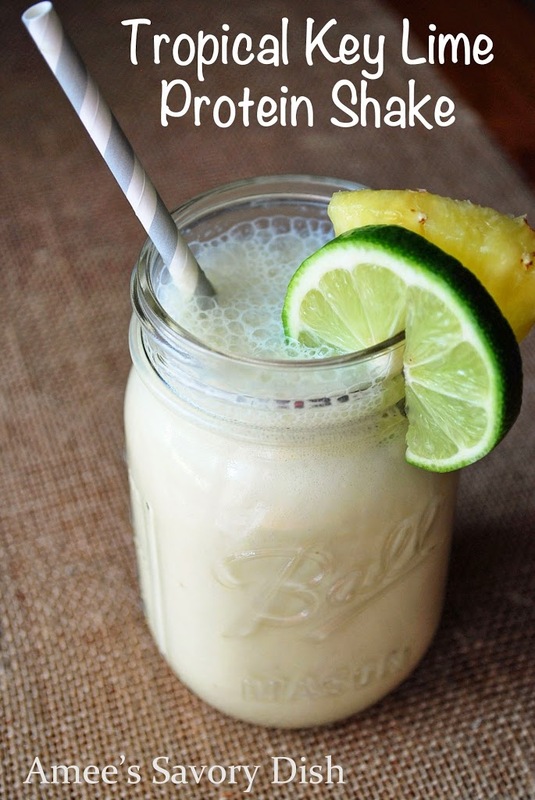 If you need a healthy breakfast idea that’s refreshing and delicious, this tropical key lime protein shake recipe is one to try! Place all ingredients into a blender or Vitamix and blend until smooth. Ooh, you had me at key lime! Looks so yummy Amee. I’ve been using a dairy-free yogourt made with coconut, so I would love to try this recipe with it. Thanks for sharing!